Just less than a few weeks ago, PlayerUnknown’s: Battlegrounds teased their upcoming major patch in preparation for the Xbox One release on December 12. Bluehole announced a new movement mechanic, vaulting, a new Desert-themed map, a slew of new, powerful weapons, and a boat-load of performance changes to smooth things out for the big, 1.0 release. PUBG has been in the “Early Access” phase since its release back in March. The new map, Miramar, and all of the changes coming with the 1.0 update are available now on the PUBG play-test server. To get a taste of what’s coming to PUBG, download the hefty 11.2 gigabyte update to the PTR from Steam and get playing. When you start up, you’ll immediately notice an all-new interface that is much cleaner and more well-designed than what was previously available. Menus have been organized and the screen feels less cluttered, with more information readily seen. 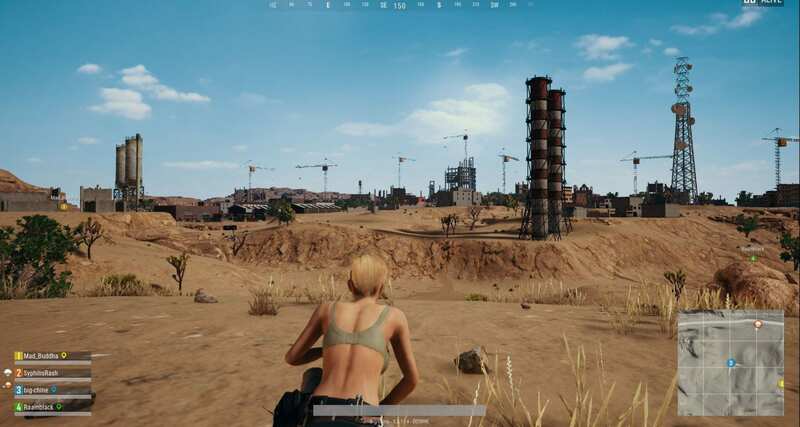 After finding a match, you’ll spawn on Miramar’s new starting island, which lets you know right off the bat that things are different in the desert. The scenery is bright, the sky is blue, and you can almost feel the scorching sun beating down on your bare back. Sheds, warehouses, buildings, and all of the basic environmental scenery is distinctly different from what we’ve seen in Erangel. The desert feels more alive and more lived-in than the previous map. The different environment means a different way to fight. Your tactics must change in this new arena as buildings, open-spaces, cliffs, hills and the like are present and have been designed in such a way to force you to fight differently than in Erangel. New weapons and vehicles have also been added to the mix. 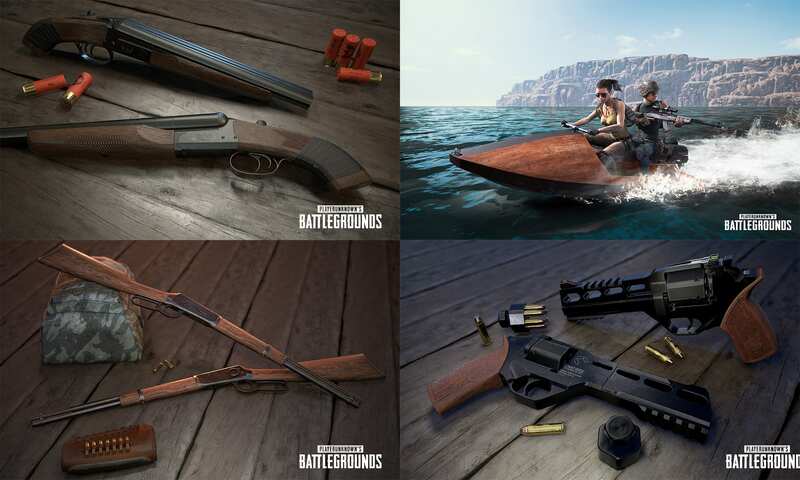 There are three new, Miramar-exclusive guns. A Winchester Model 1894 shoots powerful .45 rounds, but has a slow rate-of-fire, and you cannot equip attachments to it. An R45 Revolver, shooting .45 rounds as well, was added, and feels like a hand cannon. Most interestingly, a sawed-off shotgun has been included and spices things up a bit as it equips to the pistol slot in your inventory. A four-seater pickup truck and van have also made the cut, along with an Aquarail jetski. These new weapons and vehicles will change up the tactics required for success on the battlefield. Miramar and all these new changes prove that PUBG Corp. is serious about their game. PUBG is in it for the long haul, and with the 1.0 patch, we’re able to see the potential that the game has in an all new way. Miramar legitimizes PUBG. It feels more real and gives PUBG a much needed second map. I don’t feel like a 1 or a 0 fighting for <alert prompt: Winner Winner Chicken Dinner!>. I feel the excitement once again, the surge of adrenaline as I sprint across a wide-open sand-dune, praying that a sniper bullet doesn’t find its way to me. PUBG is fresh again. For a full list of changes, check out PUBG’s official announcement for the patch. Experience it for yourself by downloading the free play-test server.